Copyright and all rights therein are maintained by the authors or by other copyright holders. It is understood that all persons copying this information will adhere to the terms and constraints invoked by each author's copyright. These works may not be re-posted without the explicit permission of the copyright holder. Born to craft and create. 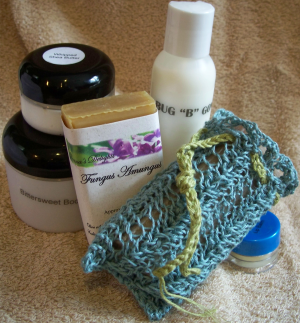 Currently I have been creating Cold Process soap, lotions and lip balms. Those out there that make their own soap know that once your addicted you must sell it or give it away. After all even the cleanest people in the world can only use so much soap.